When I was 13 years old I was enrolled in Brooklyn Technical High School in Fort Greene, Brooklyn. To get to school every day I would take a dollar van from Flatbush Ave and Avenue K to the “junction” train station at Flatbush & Nostrand Ave. I’d hop the turnstile and take the number 2 or 5 train to Atlantic Ave. From there I would walk to Brooklyn Tech, check in for homeroom, leave out a side door and head to the McDonald's on Flatbush and Fulton St. This is where my real education began. Rather than attend classes, my crew and I would sit in that McDonald's for hours, banging on the tables and rapping. If we did head back to school, it was only for the lunch periods so that we could battle other MC’s in the cafeteria. We didn’t limit ourselves to Brooklyn Tech either, we would travel to high schools all over the city like John Dewey, George Westinghouse and Martin Luther King High just to sharpen our lyrical swords. Actually, it was to meet girls, but the sharpening of our skills happened as well. We were serious about our craft and we compared ourselves not to amateurs, but to successful MC’s who were doing it for a living. We had long, intense conversations about all things hip-hop. Why doesn’t Ice Cube get more props for his writing? Is Sweet Tee really dating Special Ed? Did you hear about KRS throwing Prince Be off stage for making remarks about MC’s who “think they’re teachers” in Details magazine? Hip-hop was an underground club, a family. You had to be down by law to know the language and the personalities. No group of artists made me feel more a part of the hip-hop family than the Native Tongues crew. 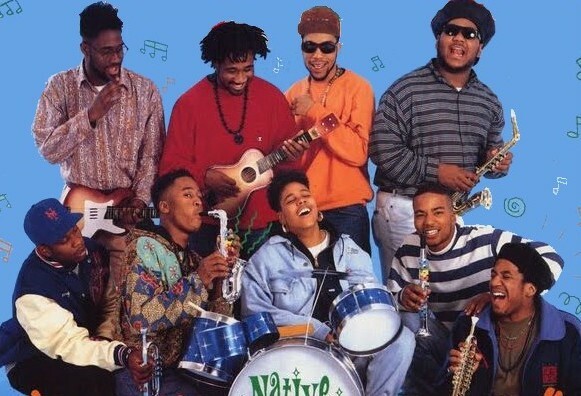 At a time when even the realest hip-hop personalities seemed like caricatures of themselves at best, the Native Tongues crew came through and made me feel like it was okay to just be myself. The Native Tongues crew boasted an original core membership of Jungle Brothers, De La Soul and A Tribe Called Quest. The second wave included Black Sheep, Chi Ali, The Beatnuts, Queen Latifah and Monie Love. Acts that were affiliated through the years included Brand Nubian, Pete Rock, Leaders Of the New School, Resident Alien, Kid Hood, Shorty No Mas and years later Common and Mos Def aka Yasiin Bey. The core, original members of Native Tongues — JB, De La and Tribe — shared a common vision when it came to music and fashion. They all had late 80s, downtown New York City afrocentric sensibilities that permeated both the music that they made and the clothes that they wore. As they brought in more artists, it became clear that it wasn’t mandatory to dress like De La Soul were to be in the Native Tongues, you just had to be true to yourself. The bond that this incredible group of artists had was a musical one and it inspired me to no end. To see Q-Tip of A Tribe Called Quest talk about “banging on the tables” at Murray Bergtraum High in Michael Rapaport’s documentary Beats, Rhymes and Life was a full circle moment for me. In 1997, I was making a name for myself as a young up and coming MC in the underground scene in New York City. My main goal at the time was to prove myself to Danny Castro and Anthony Marshall, two hip-hop heads with entrepreneurial spirit that started a roaming event called Lyricist Lounge. Artists who performed well at the Lyricist Lounge often went on to secure record deals, and I felt that I was at least as good as many of the artists who performed regularly. After months of slaying open mics, I finally got my shot, and once I performed at the Lounge, they asked me to keep coming back. Danny and Anthony would always have an established artist hosting each event, and it was often a member of the Native Tongues crew. The moments that established my career trajectory were overseen by Q-Tip and De La Soul. 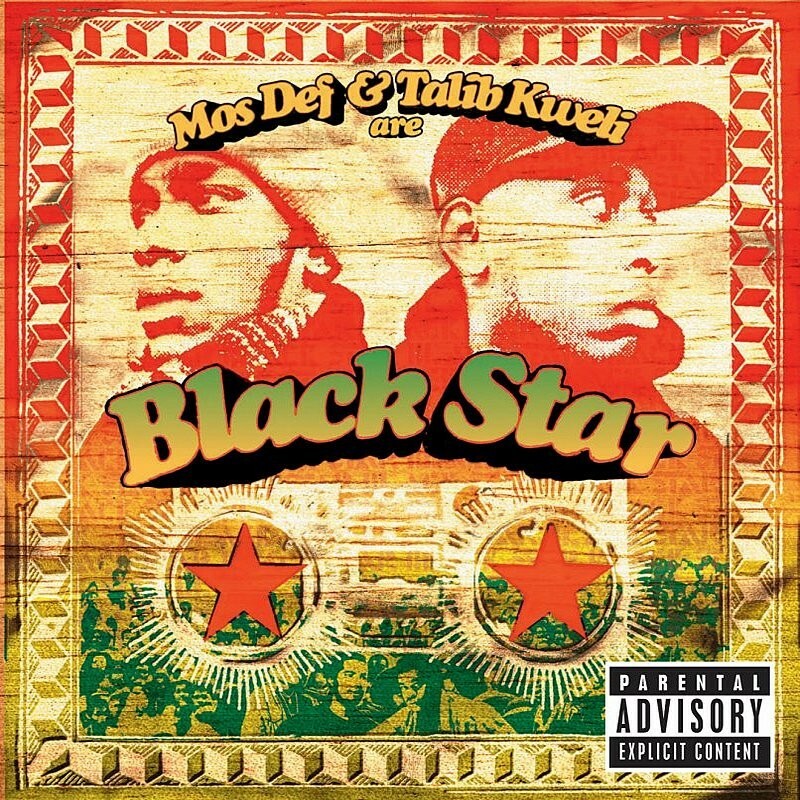 My debut album, Mos Def and Talib Kweli Are Black Star, is soaked in the influence of the Native Tongues crew. It is quite literally our take on what De La, Tribe and Jungle Brothers were doing years before us, with a little Big Daddy Kane/Slick Rick/Rakim-esque lyricism thrown in for good measure. It is widely hailed as a hip-hop classic and even though it came out in 1998, it is, to this day, the album I am most asked about and associated with. It doesn’t matter that both Yasiin Bey and I have put out several albums that have all outsold the Black Star album, it continues to resonate the most in the hearts of the fans, regardless of record sales. Black Star was released on Rawkus Entertainment, a company that became famous for putting out records that celebrated the underground, independent hip hop aesthetic. When Black Star succeeded, Rawkus made money. Its founders — Jarret Myer and Brian Brater — began to reach out to their favorite MC’s looking for other albums to press up. One of the first MC’s that was signed to Rawkus after the success of Black Star was legendary Queens MC Pharoahe Monch. Pharoahe Monch and I are close in age, but he was already a vet when I met him. He dropped two stellar albums with his group Organized Konfusion and by 1999 he was technically the most lyrically talented MC, in my opinion. There are not many that I feel have the ability to possibly best me when it comes to writing lyrics; the list is short, maybe 5 people. Pharaoh is on that list. However Pharoahe is also a producer and his Rawkus debut, Internal Affairs, boasts one of the best produced songs ever created, “Simon Says.” Riding a Godzilla sample like a demon steed through hell, Pharoahe Monch made the first underground Rawkus-era song to go mainstream. To this day, “Simon Says” will rock any club, at any time. Last year I saw Tommy Lee of Motley Crue performing his solo over “Simon Says” during their farewell tour. Yeah. Along with Black Star, Pharoahe Monch was instrumental in providing proof to other hip-hop artists of the time that you could remain your true self and still be successful making the exact type of music you heard in your mind and heart. Around this time there were three friends by the name of Big Pooh, Phonte and 9th Wonder who were attending North Carolina Central University in Durham that were inspired by all of this raw, independent hip-hop music to form their own group and put out an album. Continuing the tradition of musical family connections they called their group Little Brother, because they looked at those of us who were already living this musical life as their big brothers. Their debut album was called The Listening. They put it out thru an indie label from the Bay called ABB Records and it was immediately hailed as an underground classic. I remember the first thing I thought when I heard it, reminding me of of what Yasiin and I were doing with Black Star. 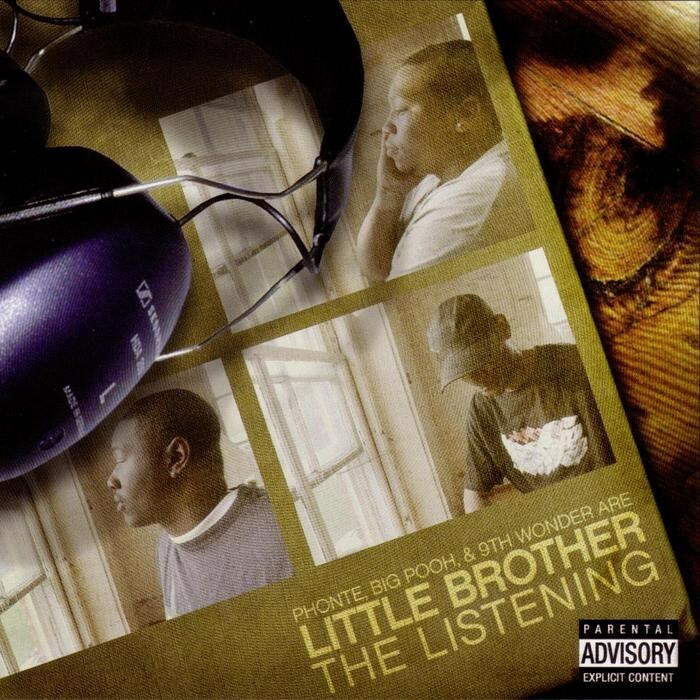 As a trio, Little Brother made one more album before 9th Wonder parted ways the group, 2005’s excellent opus, The Minstrel Show, on Atlantic Records. Before this album I viewed Little Brother cautiously as competitors; after taking in The Minstrel Show I became I full blown fan. With limited resources, 9th Wonder crafted beats that were light years ahead of other producers of his generation, just like Hi Tek was doing in Cincinnati when we met. I wasn’t the only one who noticed. 9th Wonder went on to produce for Jay Z, Destiny’s Child, Chris Brown, Drake and many other top tier acts. When he worked with the best from the underground, 9th didn’t just hand in tracks, he handed in whole albums. He did three albums with Buckshot from Black Moon, five albums with Murs, one with Jean Grae and one with David Banner. If these collaborative albums weren’t enough to keep him busy, he also began to oversee and start careers with his Jamla Records label and his collection of North Carolina based producers known as The Soul Council. When 9th is not in the studio, you can find him at Harvard University, a professor at Duke University and the cultural ambassador for the Zulu Nation, the street gang turned universal hip-hop collective that first took this movement global under the direction of Afrika Bambaataa. 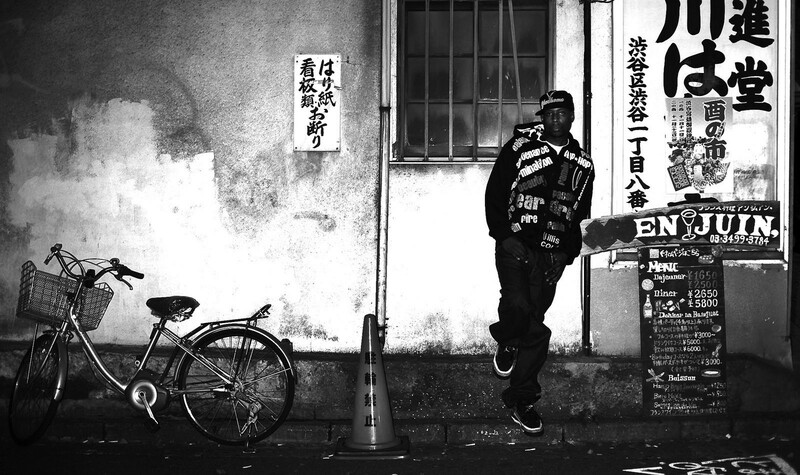 9th embodies hip-hop in every action. In 2011, after 9 albums, I made a decision to leave the traditional music industry alone and instead build an “industry” around myself. I started a label called Javotti Media, named after my grandmother Javotti Greene. I looked to 9th Wonder’s Jamla Records for inspiration. I had heard that Jamla was also inspired by 9th’s grandmother. Jamla was operating from Raleigh North Carolina, not New York City, and had less resources than I did, but they were still able to make an impact on the industry. 9th and I had a courteous professional relationship up to that point; I brought him on BET’s Rap City as a guest when I hosted for a week back in 2007 and my first label, Blacksmith Music, released 9th’s album with Jean Grae, Jeanius. 9th also worked closely with Dru Ha and Noah from 3D/Duck Down Music, and his connection with them made me feel comfortable enough to do a distribution deal with them for Javotti Media’s first official release, my Gutter Rainbows album. The Jamla influence continued as Soul Council’s E. Jones and Khrysis contributed tracks to Gutter Rainbows. This was the first album that I ever made a profit on within a couple of months of release. Three years later, when I released Gravitas exclusively at my online shop Kweliclub.com, it became the first album that I profited on through pre-orders before it was even released. As I grew as an artist and businessman, Javotti grew as a label. Buoyed by the success of albums Gutter Rainbows, Prisoner Of Conscious and Gravitas, Javotti Media was able to acquire fresh new acts who saw my indie success and came looking for opportunities. My longtime friend Cory Mo from Houston was set to drop a debut album in 2012, so he was the first artist we partnered with. 9th Wonder produced a track on Cory’s Take It Or Leave It called “Special Delivery.” After meeting Brazilian born MC NIKO IS and his Orlando crew, Colours Of The Culture, we partnered with them to release a couple of mixtapes and a critically acclaimed album, NIKO IS’ Brutus. Javotti partnered with wonderful writers and poets like MK Asante and Jessica care Moore to help bring their musical visions to life with Buck: The Original Book Soundtrack and Black Tea - The Legend Of Jessi James, respectively. My vision of Javotti being a creative hub for like minded artists who needed platforms to release art had come to fruition. So what was my next step? Enter INDIE 500. The idea of creating a crew called INDIE 500 came out of a Twitter conversation. I was waxing philosophically as I’m know to do in these Tweets and 9th jumped in to agree with some point I was making. After a couple of DMs, 9th suggested that we form a crew based on our independent spirit and that we involve Pharoahe Monch, a favorite artist of both of ours. Pharoahe had just dropped his second album album, We Are Renegades, independently through his company W.A.R. Media, and 9th felt that we would all do better in the business if we always publicly supported each other's’ releases. That’s really all it was going to be at first, which is why it was so hard to describe in the press when we casually announced the partnership. Pharoahe came up with the name INDIE 500, and it was a good one. Our collective fan bases became really excited at the possibilities. Would this be a new Native Tongues? Would we all do a record together like Jay Z’s Dynasty album or Dr. Dre’s The Chronic? We didn’t even know at the time. A year later, 9th was offered an opportunity to do an album with Traffic Distribution and he immediately thought of INDIE 500. Both 9th and I were known for our collaboration albums, so doing one with him made perfect sense to me. Also, we both had artists and crews we were excited about and doing an album together would allow us to showcase the talent of each crew. Even though Pharoahe is a core member and founder of INDIE 500, it was decided that 9th and I would lead the charge on getting this album done. Excited by the idea of joining a new artistic family, I flew down to Raleigh for a few days the moment we signed our deal. To my pleasant surprise, west coast MC’s Problem and Bad Lucc from Diamond Lane Entertainment were also in Raleigh, staying in town for a few days to work with 9th’s crew, just like I was. Once we all started cutting records together it was clear to me that INDIE 500 extended far beyond the original founding members, it was anyone we worked with that did their thing independently. Problem and Bad Lucc defined independent success, so they were INDIE 500 as well. Artists like Brother Ali and Slug from Atmosphere had indie hip hop on lock for years in Minneapolis, so they were INDIE 500 too. Consistently great hip-hop producers we worked with like Hi Tek from Cincinnati and Nottz from Norfolk, they were INDIE 500. This was becoming a national movement. So here we are now. 9th and I just released our INDIE 500 album to the world. It features Pharoahe Monch, Rapsody, Add 2, Halo, NIKO IS, Slug from Atmosphere, Brother Ali, MK Asante, Planet Asia, K’Valentine, Jessica care Moore, Chris Rob, Tef Poe, Kendra Ross, GQ, Problem and Bad Lucc. It features production by Khrysis, E Jones, Eric G, Nottz and Hi Tek. But more importantly, it provides a soundtrack for those who listen to and participate in hip-hop regardless of the trends. It passionately maintains the connection between culture and art that allows hip-hop to flourish and be the voice of the people. It is firmly rooted in the tradition of the Native Tongues and it puts the skills of our respective crews on full display. As Rapsody puts it so eloquently on “Don’t Be Afraid”: “I fear for your career if your crew aint cool with us.” Come get your hip-hop directly from the source. INDIE 500. 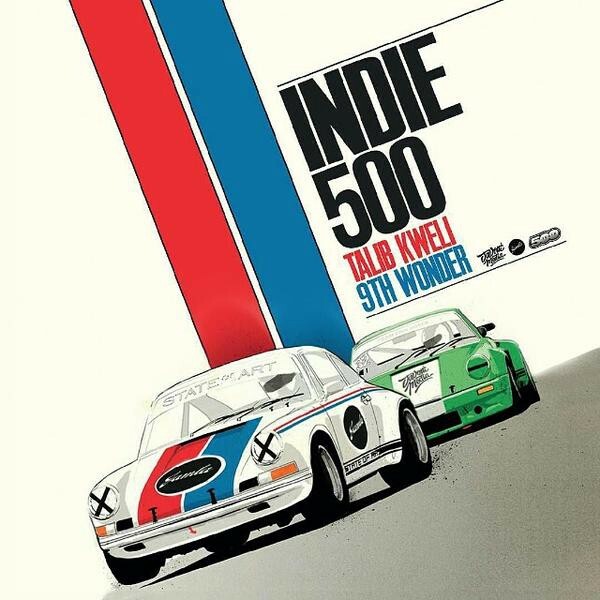 Talib Kweli & 9th Wonder’s Indie 500 album is available now from KweliClub.com, iTunes, Amazon, UGHH, and other fine retailers.